A Conservative minister has said that British consular officials will visit controversial Radio Biafra director Nnamdi Kanu, whose arrest in October has led to protests in London and Nigeria, after a question from the joint Nigerian-British activist's constituency MP, Harriet Harman. James Duddridge, Minister for Africa and the Caribbean, confirmed that Kanu, who is the leader of the Indigenous People of Biafra (Ipob) had been visited in Nigeria by members of the Foreign and Commonwealth Office but that he did not ask for British consular assistance. Kanu was arrested by the Nigeria state service (DSS) on charges of criminal conspiracy, intimidation and belonging to an unlawful society. He pleaded not guilty. 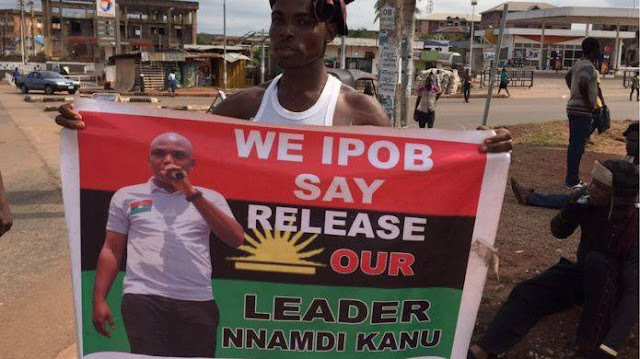 Ipob and other pro-Biafran movements call for the independence of territories that constituted the Biafran Republic, established in 1967 and re-annexed by Nigeria in 1970, following a civil war that claimed between one and three million lives. On 23 November, Kanu attended a hearing at the Abuja Magistrates Court and his trial was adjourned to 1 December. Kanu's lawyer, Vincent Obetta, said the DSS had been authorised by the court to further detain his client to "conclude what they said was an investigation of terrorism and terrorism financing". Kanu's arrests sparked protests in Nigeria and other countries with pro-Biafrans demanding the immediate release of their leader. 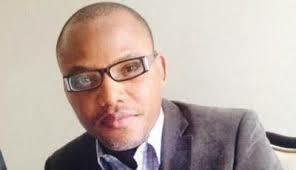 Duddridge said in his letter: "Kanu is a dual Nigerian/British national. In cases involving dual nationals in their country of other nationality we do not usually provide consular assistance unless we judge an individual to be particular vulnerable. "Following concerns raised by friends of Mr. Kanu to the Foreign and Commonwealth office, including about his well-being and ongoing medical condition, we judged it appropriate in this instance to offer assistance. "The Nigerian Authorities granted access to our consular team to visit Mr Kanu on 3 November 2015 where he is being detained in Abuja. Mr Kanu has confirmed to us that he has access to a lawyer and that he does not require the British government to make any further representations to the Nigerian Authorities on his behalf. We do, however, intend to make a further consular visit to check on his well-being." Shortly after Kanu's arrest, the DSS told IBTimes UK he was released on bail. However Obetta, as well as Kanu's followers, claimed he was still being detained. IBTimes UK repeatedly tried to contact the DSS for a statement regarding Kanu, but has had no response. The Nigerian government told IBTimes UK that it does not consider the separatist movement a threat to the current leadership and defined pro-Biafrans as an "insignificant number of frustrated people who are not a threat to the existence of Nigeria". Army spokesman, Colonel Sani Usman, said: "The message to the Biafrans is clear: The army and police might use the Rules of Engagement (ROE) on security operations to the fullest depending on the circumstances." Usman referred to a statement by General Officer Commanding the 3rd Division of the Nigerian Army, Hassan Umaru, released earlier in November. Umaru said: "The Nigerian Army would like to send an unequivocal warning to all and sundry, more specifically to all those committing treasonable felony and arson as well as wanton destruction of lives and property. "It is the duty of an officer or soldier to ensure the enforcement of law and order in conjunction with other security agencies, troops are duty-bound to intervene in any situation to avoid a breakdown in peace and stability of an area where they are deployed."